What Is the Difference Between Retin-A and Tretinoin? Do you wonder what is the difference between Retin-A and tretinoin, or whether you were prescribed the wrong acne medication? 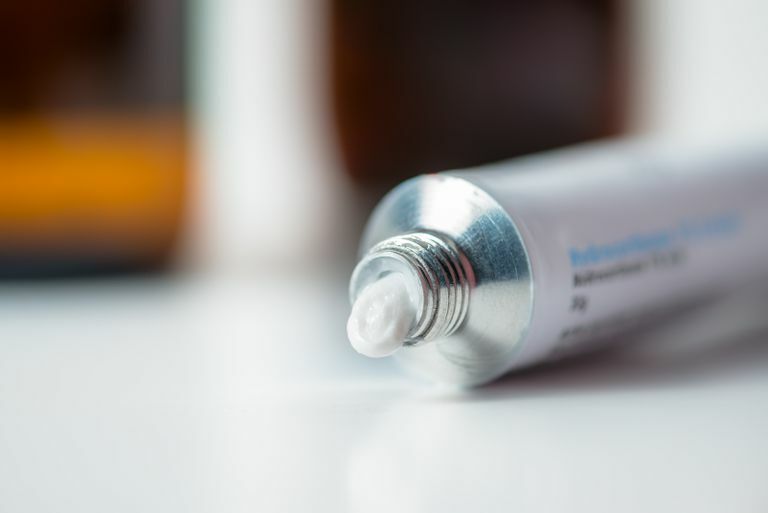 Medication names can be tricky, and it is confusing when your dermatologist tells you you'll be using Retin-A but the pharmacist hands you a tube of tretinoin. What gives? Not to worry, you've got the medication you're supposed to have. Retin-A is a brand name for the drug tretinoin. Yes, even medications have brand names. Retin-A is a brand name; tretinoin is the name of the active ingredient. Retin-A is a brand that contains the medication tretinoin. The brand Retin-A has become the most popular term used when referring to topical tretinoin treatments, so many people use Retin-A and tretinoin interchangeably (even physicians). It's rather like how people use the brand name "Q-Tip" rather than the generic term "cotton swab." A lot of the confusion lies in the fact that while your physician prescribes Retin-A, your pharmacist may fill your prescription with generic tretinoin. This is because with a generic you'll often pay less than you would for a brand name drug. But don't think that generic medications are of lower quality, or that they won't work as well. All tretinoin products work in the same way, by speeding cell turnover rates and keeping pores free from blockages, or comedones. Tretinoin medications also help soften fine lines, fade dark marks and discolorations, and leave your complexion looking brighter and feeling smoother. Because generic and brand name acne medications contain the same active ingredients, they will give you the same type of results across the board. There are so many sound-alike ingredients in the skin care world, no wonder it's confusing! How do topical retinoids, Retin-A Micro, retinol, and isotretinoin fit into the mix? ﻿Retinoids are the group, or class, of medications that tretinoin belongs to. Topical retinoids work by speeding up cell turnover, rapidly exfoliating the skin and promoting new skin cells. They also help clear out blocked pores, and soften fine lines and wrinkles. Topical retinoids are prescribed to treat acne. They are also commonly used as anti-aging treatments. Besides tretinoin, other topical retinoids include Tazorac (tazarotene) and Differin (adapalene). Differin is more aptly described as a retinoid-like compound, if we're being precise, but works the same way. Retin-A and Retin-A Micro are both brand names for tretinoin. The big difference between these two medications is how they deliver the tretinoin to your skin. Retin-A Micro delivers the medication more slowly, over time, so it's less irritating than Retin-A. Consider retinol an over-the-counter version of Retin-A. Like Retin-A, retinol is a topical retinoid. It's derived from vitamin A. It helps soften fine lines and brighten the skin. It doesn't work as quickly, nor does it work on the deeper layers of the skin like prescription retinoids do. You can find retinol in many OTC anti-aging skin care products. Tretinoin and isotretinoin both are prescription medications used to treat acne. Both are derived from vitamin A. That's where their similarities stop. Tretinoin is used topically to treat acne. Isotretinoin, better known by the now-defunct brand name Accutane, is an oral medication used to treat severe inflammatory acne. Tretinoin and isotretinoin are not interchangeable. Hopefully by now you have a better understanding of how Retin-A and tretinoin (plus all those other sound-alike medications) are related. So many medications and brand names available have similar-sounding names. Some are completely interchangeable while others aren't, so it's important to keep them all straight. Your best source of information are the pros: your dermatologist and your pharmacist. Don't be afraid to ask questions. If you've been prescribed one medication but are given another, it's OK to question it (pharmacists are humans too so mistakes, while exceedingly rare, can be made). At least your mind will be at ease, and you'll know exactly what you're putting on your skin and why. Also, ask your dermatologist what to expect as you begin your Retin-A (tretinoin) treatment. That way you'll be prepared for any possible side effects and be ready to get the best results from your tretinoin treatment. Watson KD, Miest RY, Tollefson MM. "Isotretinoin for Acne and Rosacea." Seminars in Cutaneous Medicine and Surgery. 2016 Jun;35(2):79-86. Zaenglein AL, Pathy AL, Schlosser BJ, et al. "Guidelines of Care for the Management of Acne Vulgaris." Journal of the American Academy of Dermatology. 2016 May;74(5):945-73. Nohynek GJ. "Commentary on the Safety of Topical Vitamin A in Cosmetics. "Regululatory Toxicology and Pharmacology. 2017 Oct;89:302-304. Kircik LH. "Evaluating Tretinoin Formulations in the Treatment of Acne." Journal of Drugs in Dermatology. 2014 Apr;13(4):466-70. Do Generic Acne Treatments Work as Well as Name Brands?